Time runs very quickly. Half of 2018 is already gone. That is why I’ve found interesting and even intriguing to return to some books I’ve read a long time ago, to see what they thought and said then, and how it sounds today. How much of those thoughts remain valid, and how many of them have to be thrown out to the wastebasket. So I choose to start with this book of Keith Thompson attracted by the title of it. Undoubtedly, I expected a different approach to the UAP subject, and there is one, although the author carefully walks on a middle line avoiding risking a definite opinion. 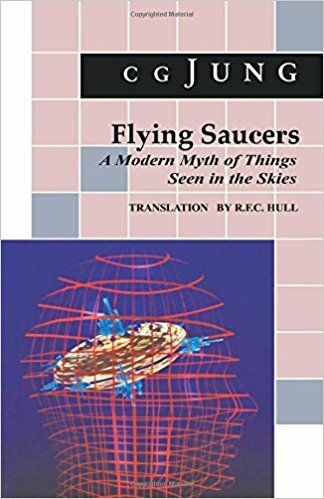 On page 46 he mentions the renowned Psychologist Carl Gustav Jung, that every one of us remembers for his famous book "Flying Saucers: A Modern Myth of Things Seen in the Skies" (1979). This represents for me a very dangerous cocktail that goes far beyond apart from rationality and logic. I think Thompson is notoriously influenced by Jacques Vallée, whose way of thinking goes quite near to his ideas, and therefore he says: “Perhaps something quite ancient from the world soul was making its periodic return, in a novel form, as part of a larger cycle or spiral of manifestation.” (page 65). Later he dedicates to try to explain the Betty and Barney Hill case, taken as an example where mythical influences and facts mix together. Therefore, he mentions Donald Keyhoe’s The Flying Saucer Conspiracy book from which Betty took some ideas, also the film Invaders from Mars, and the episode “The Bellero Shield” of the series “The Outer Limits”, as sources that contributed to their “abduction case”. (pages 66 and 67). What to expect for the future? Have in mind that this book was written in 1993. It is more than interesting to see what some investigators and people in some way related with the UFO subject said about the future of it. 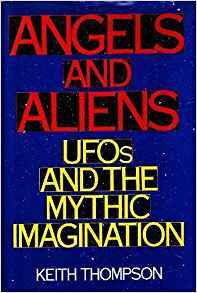 It results curiously for me to verify the ideas and reactions of some well known ufologists at that time. Apparently the amount of sightings has been going down, and Thompson writes: “Today, with fewer of what ufologists call ‘high-quality sightings’ than in many years, longtime investigator (and ET-hypothesis champion) Jerome Clark predicts an imminent solution to the entire controversy. (page 241). And then Thompson cites two abductologists, Budd Hopkins and David M. Jacobs. Jacobs meanwhile said:”We may be on the threshold of momentous discoveries”. Frankly, I am surprised by the enthusiastic and confident attitude of these people. “Maybe the end is indeed near. “These and other signs are interpreted to mean the UFO phenomenon will simply fade away as strangely as its sudden arrival, that it will take its place in folklore with vampires, leprechauns, and werewolves as a folkloric motif specific to a particular historical epoch.” (page 245) [the underline is mine]. We can consider this as a prophetic view. It is clear that Keith Thompson finally, does not pronounce himself on the identity of the UFOs, nor does he raises the problem of public ignorance and the lack of an appropriate investigation of the reported cases. Fewer addresses the question of how military intelligence used the UFO issue to benefit its own interests and plans. And he does not mention anything fundamental: to frame the UFOs as a matter of psychological warfare, as a great psychological operation or operations.